Modern multi-purpose low-friction motor oil developed according to the latest technology. Unconventional base oils based on HC synthetic technology were combined with the most modern additive technology. The low-viscosity and high sheer stability of the motor oil guarantees optimal cleanliness, reduces frictional loss in the engine and provides outstanding protection against wear. The results are savings in fuel and an extended service life for the engine. Tested for turbochargers and catalytic converters. Especially suited for use in Opel gasoline and diesel engines until 2010 MY. However, the product is also backwards compatible and can thus be used in older Opel vehicles which permit a motor oil of this viscosity class. Pay attention to the manufacturerâ€™s instructions. The manufacturer’s instructions for the use of other vehicle models and types must be observed. 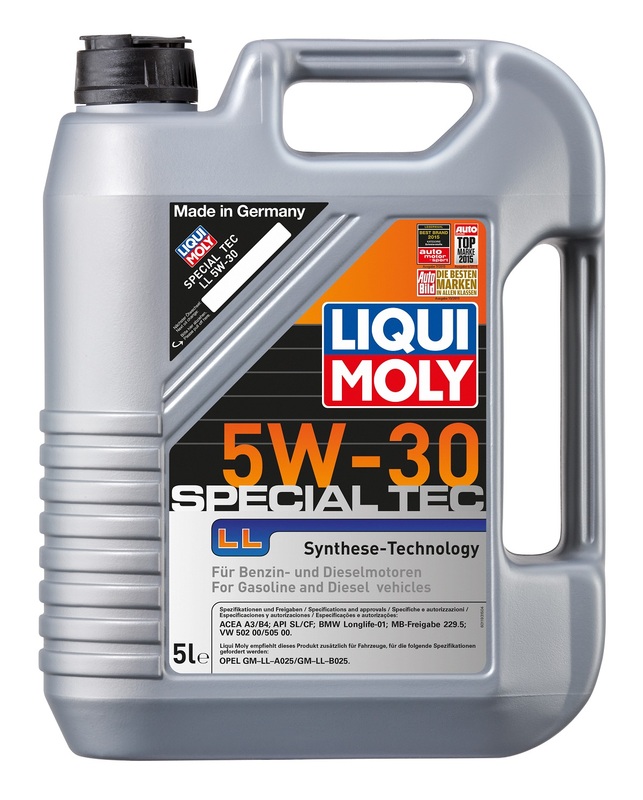 Liqui Moly Low Friction Special SAE 5W-30 currently is mainly required for different Opel gasoline and diesel vehicles until model year 2010. Backwards compatible, enabling use in older Opel vehicles. The motor oil can also be used for other vehicle models provided that the manufacturer’s instructions are observed.